Toronto Herbal Remedies’ (THR) license has been migrated to the Cannabis Act and its regulations, allowing the company to expand its growth production footprint and sell cannabis to other licensed producers (LPs). 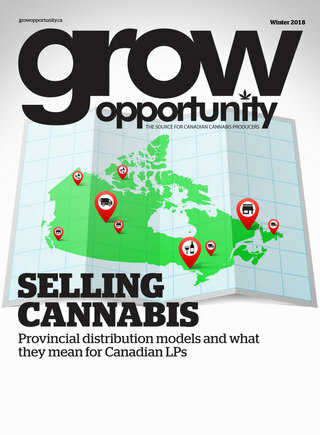 THR is a subsidiary to Vancouver-based cannabis supplier Sproutly Canada Inc., whose goal is to become the leading supplier to the cannabis beverage and edibles market. THR, which was formerly licensed under the Access to Cannabis for Medical Purposes Regulations (ACMPR), also received licensed amendments approving all of the remaining 16,600 square feet at the facility for additional grow and operations, according to a release. The Health Canada license, issued in accordance with the Cannabis Act and Cannabis Regulations, specifically grants THR the ability to possess cannabis; obtain dried cannabis, fresh cannabis, cannabis plants or cannabis plant seeds by cultivating, propagating, and harvesting cannabis; and, to sell cannabis in accordance with subsection 11(5) of the Cannabis Regulations. “This license provides THR the ability to expedite our operational model as well as provide THR with additional avenues for the sale of our products when ready,” Dolo stated.